For James K. Lowe, serving as assistant general counsel and vice president of one of two federal divisions of a global engineering giant is a natural continuation of his career, his engineering career, that is. Becoming a lawyer, beginning with classes at George Mason University’s School of Law, offered Lowe an opportunity to stay connected while contributing in different areas. And, of course, to the many clients of AECOM, the world’s leading global-design company, according to the industry publication Engineering News-Record. Headquartered in Los Angeles and with multiple satellite operations, AECOM pulls in annual revenue in the $20 billion range, while serving clients in more than 150 countries. That would put a strain on any in-house legal department, but Lowe is about as well-versed with the engineering industry as anyone can be, and the fact that he can interact with its most accomplished practitioners on their terms, makes him all the more effective. That Lowe has in spades. Engineering came first for Lowe, who earned his BS in civil engineering from Virginia Polytechnic Institute & State University. He completed graduate work in engineering administration via a George Washington University extension program during a six-year stint as a civil and structural engineer with the firm of Wiley & Wilson Inc. in Lynchburg, Virginia. 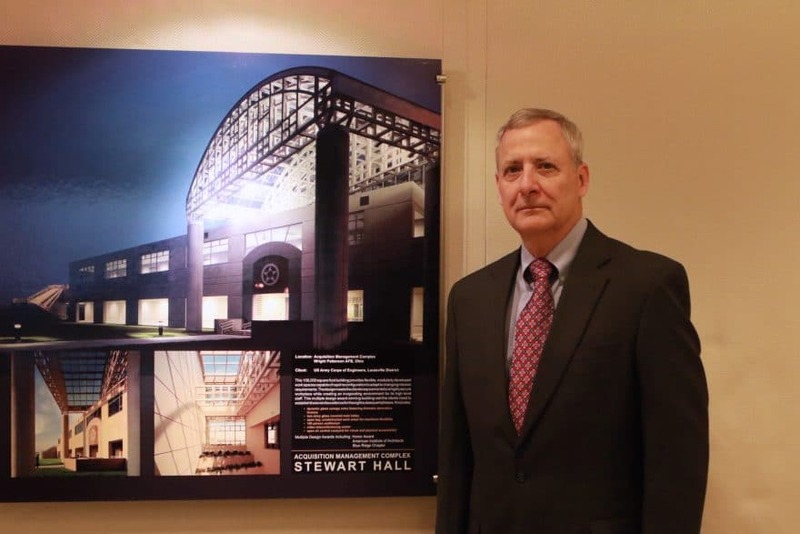 He followed that with three more years of civil and structural engineering for the National Park Service in Washington, D.C., before serving with the Naval Facilities Engineering Command’s Chesapeake Division from 1987 to 1991. Those two positions included projects at such venues as The White House, the East Executive Avenue Pedestrian Way and the presidential retreat, Camp David, in Maryland’s hill country. It was during his time working on his master’s degree that Lowe took an engineering law class and, upon earning an “unforgettable” high score of 65 on the first test, was encouraged to consider pursuing a law degree. That he did through GMU School of Law’s evening program, while working full-time with NPS and NAVFAC, earning his juris doctorate in 1988. 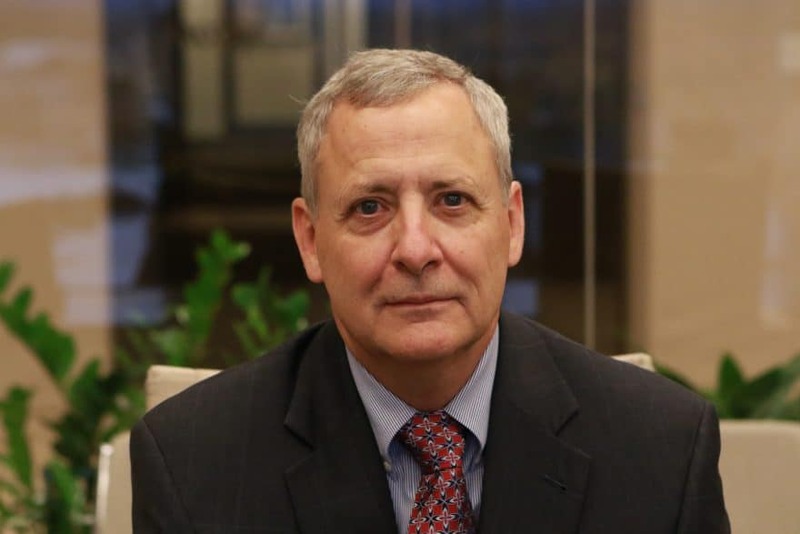 Upon becoming head of construction administration at Hayes, Seay, Mattern & Mattern Inc. at its Roanoke office in 1991, he slowly began trying to sell the firm’s management on the need for a full-time in-house counsel. Six years later, the company finally ruled in his favor, moving Lowe from engineering to legal, where he spent the next seven years as a one-man legal department. HSMM was an impressive company in its own right, its clients including the Smithsonian Institution, General Services Administration, Federal Emergency Management Agency and various Department of Defense components, and Lowe could have continued to find much fulfillment there. But when AECOM purchased HSMM in 2007, the geographical location of his in-house clients and their projects broadened significantly. With perks including his family being able to stay put in Roanoke—a quaint, medium-sized city with a most agreeable Blue Ridge Mountains backdrop—Lowe relished being able to apply his skills on behalf of a leader in all the industries that AECOM services. Be it transportation, facilities, environmental, energy, water, high-rises or the public sector, AECOM is among the go-to, can-do companies whose services are sought by both the public and private sectors. 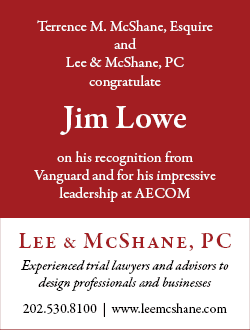 Too big an operation for one person to effectively meet all of the legal needs across the company, AECOM assigns many of its lawyers to specific geographies or divisions, with Lowe’s first three years spent as chief counsel of the then-Mid-Atlantic Region. 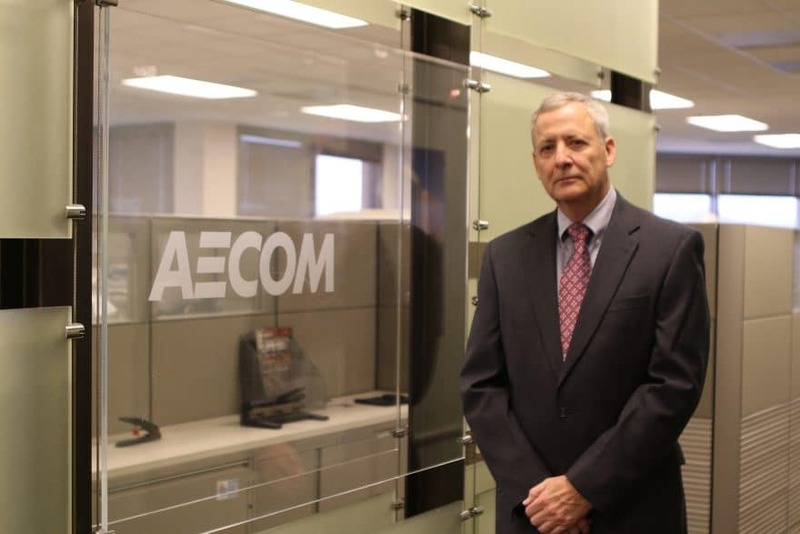 In 2012 he assumed his present duties, concentrating on AECOM’s federal division that provides largely architectural, engineering and related services, both domestically and internationally, to various U.S. government departments and agencies. “Architects and engineers are a different kind of people from lawyers, just as architects and engineers are from each other,” Lowe says. “With any in-house position, you need to know who your client is in terms of how they do their business and what they need from you as an attorney. Intellectually curious from the start, Lowe seems cut out for all these roles that entail business, legal, engineering and personnel skills. As for his sources of inspiration, he cites many, not the least of whom was a TV character who had Lowe thinking of law at an early age. His own legal career lacks such dramatics, but that’s just fine with him. Corporate law is detail-intense; there can be contentious, high-stakes litigation to be sure, but more often than not, in-house lawyers, serving in various industries, are consumed by such unsexy but indispensable matters as protecting intellectual property rights, following through on contracts, ensuring compliance with myriad regulations at home and abroad and—certainly at AECOM—enabling the mergers and acquisitions that could have the company rising from its current 156 ranking on the Fortune 500. So, while Lowe’s professional life would not make 30 minutes of compelling television, he has acquitted himself well in his eight years with AECOM, as he did in his previous legal and engineering assignments. Proof comes in many forms: Infrastructure humming worldwide and a lack of messy legal matters on the home front.